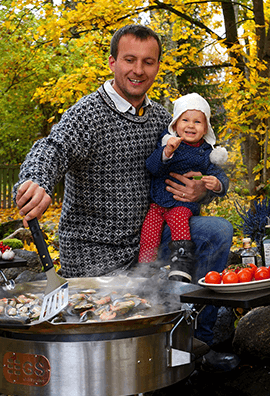 Basic Paella Cooking Sets are one of the most popular sets among home users. 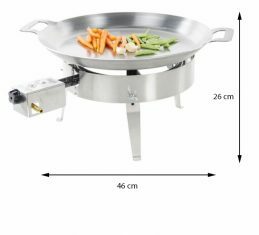 Stable construction, a powerful gas burner, light weight, and high-rimmed paella shape pan is a combination for the private customer. 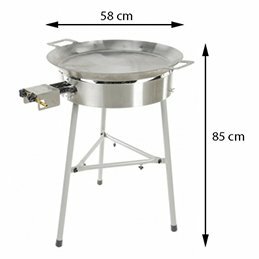 If you need a good Paella Burner Set and do not use it very often, this is the best choice. 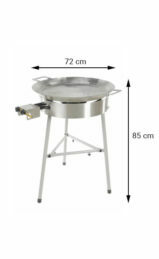 If you need Paella Burner Set for heavy use checks our PRO series.